In 2017 vines leapt into action with replenished water tables and full reservoirs after years of drought. Vegetative growth early in the season was strong, but not excessive, and crop yields were moderate to heavy in some areas. Ripening accelerated in July and vineyard sites across Sonoma County were looking like they would be ready to pick at a similar time. This compressed harvest for most but we found a healthy difference between our coastal properties and those slightly inland. Harvest saw a severe heat wave which caused concern in warmer areas but the coast stayed relatively protected and delivered typical acid-driven fruit with good phenolic ripeness. The entire harvest wrapped weeks before the devastating 2017 North Bay fires. Approachable elegance: the 2017 Sonoma Coast Pinot noir nails that right out of the glass. At first you get candied red fruit but the wine quickly takes an exotic turn with spice and earth. It’s rose petals, it’s tobacco, and it’s forest floor but there’s so much more. The fruit is darker and moodier, think raspberry and pomegranate fruit leather, while the baking spice and floral elegance take the front seat on this journey. 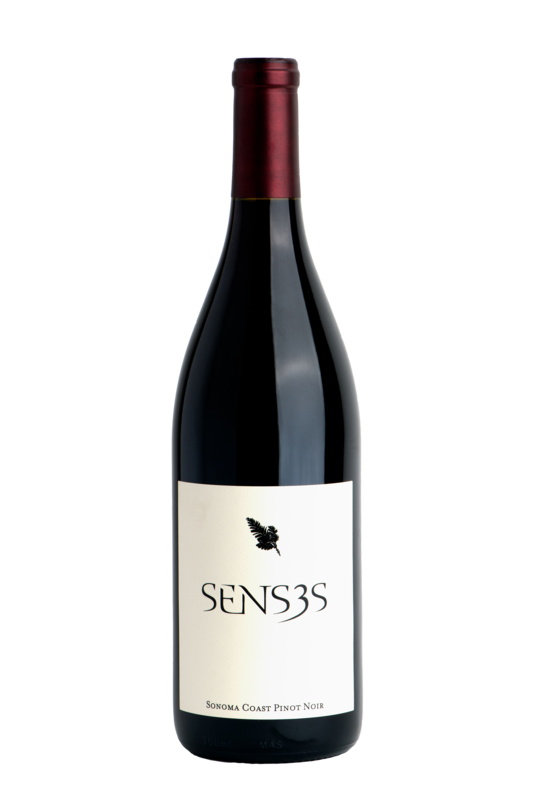 We make this wine for those that love the Sonoma Coast and those who want a Pinot noir that captures the delicate balance of this climate. It’s a challenging place to farm and after the last year few years we are no longer surprised by mother nature’s variance. This wine deserves some air to breathe and if you can enjoy it over the course of a long meal, then you will watch it, or should I say taste it, evolve.